Paris (AFP) - An asteroid described as a "pile of rubble" is rich in hydrated minerals that could help solve the mystery of how Earth got its water, scientists said Tuesday. The Ryugu asteroid, around 300 million kilometres (185 million miles) from Earth, is estimated to be between 100 million and one billion years old. 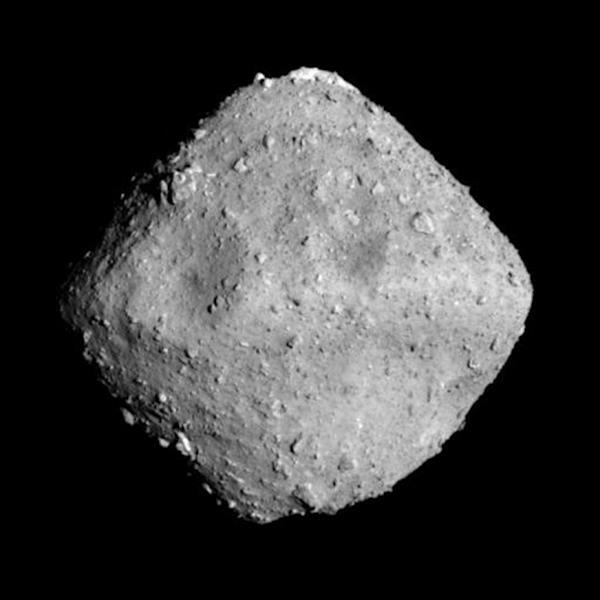 Kohei Kitazato, from The University of Aizu in Fukushima, told AFP that images taken by the Hayabusa2 craft showed that hydrated minerals -- which contain traces of water in their crystal structure -- were "ubiquitous" on Ryugu's surface. "Asteroids like Ryugu are considered as a potential source of Earth's water, so we are expecting that our results and the future analysis of Ryugu samples would provide new insights about the origin of Earth's water," he said. Several previous studies suggested that meteorites or similar extraterrestrial bodies from our Solar System's asteroid belt may have been responsible for bringing water to Earth. Scans of the rock, which is shaped like a spinning top roughly 3.2 kilometres around its equator -- about a 45-minute stroll -- showed its interior to be highly porous. "Our preferred scenario suggests that Ryugu's parent body once had much more water in the beginning and subsequently lost a large fraction of it," said Sheji Sugita, one of the studies' authors. He said Ryugu's parent body was roughly 4.6 billion years old -- dating from the very earliest days of our Solar System. 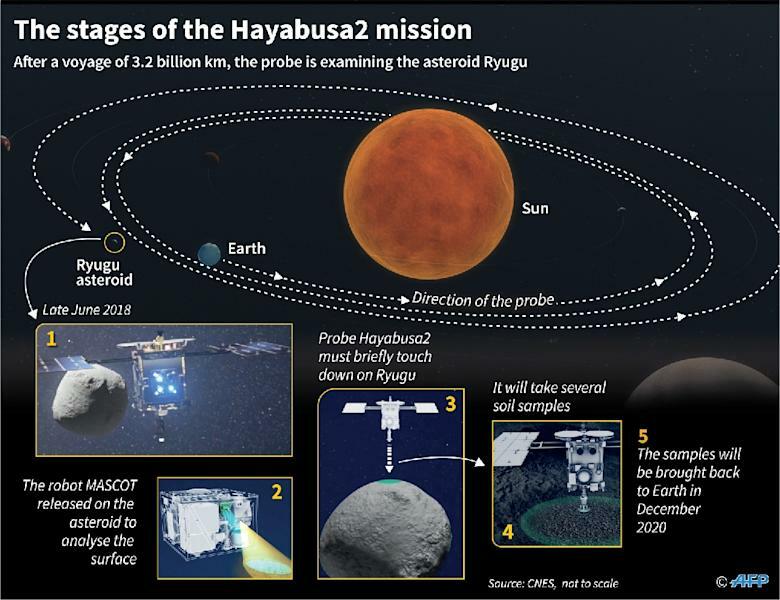 Hayabusa2, which is about the size of a large fridge, travelled for three and a half years to reach the space rock. Next month it will fire an "impactor" to blast out material from beneath Ryugu's surface, allowing the collection of "fresh" materials unexposed to millenia of wind and radiation.